No matter what your footwear is made from, Corey’s Bootery can come up with solutions to give you the best shoe repair in Kalamazoo. Whether it’s leather, fabric, or vinyl, the professionals at Corey’s Bootery can make the repairs necessary. Whether it’s boots, shoes, Birkenstocks, or whatever else you’re sporting this summer, we’ve got the trustworthy repair services you’ve been looking for. Not only does Corey’s Bootery offer the best shoe repair in Kalamazoo, but we can also make the proper modifications to help your footwear match the style and comfort you need. 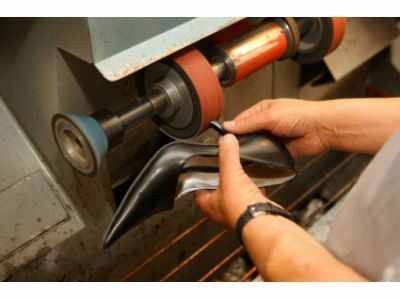 With services such as shoe lifts, custom work, widening, and more, Corey’s Bootery can help you make the shoes of your dreams out of your current ones. With over 40 years of experience working with shoes, you can count on us to deliver on the perfect modifications. You may be wondering what the difference is with the repairs Corey’s Bootery makes to your footwear, and why it beats out the manufacturer, and the answer is the materials. Manufacturers many times try to save on costs by using cheaper materials, but we at Corey’s Bootery carry only the best materials for your shoe repair in Kalamazoo. This helps us to make sure your shoes stay together for years to come. Corey’s Bootery has been a family owned business since 1973, providing some of the best footwear orthotics and filling prescriptions for patients of physicians, chiropractors, and pedorthists to better their foot health. If your shoes have started to give as we enter summer and you need them looked at, come down to the best shoe repair in Kalamazoo and see what we can do for you today!